The Parent Education Cooperative identifies gaps in parent education services in Fairfield County and collaboratively develops strategies to address those gaps. Programs specifically provided include Active Parenting and the First Five Years and the Parent Project. 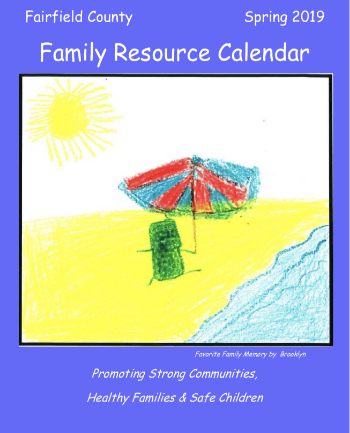 A parent education calendar is published quarterly, which includes all parent/family activities offered countywide. It is distributed throughout the county to agencies and offices. First Five Years, an Active Parenting series is a new, free, informative class offered to parents of children ages birth to 5 years old. 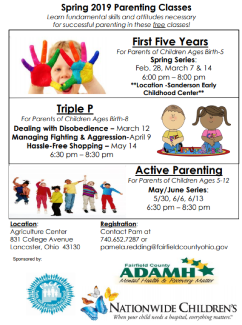 Fundamental skills and attitudes necessary for successful parenting in early childhood are taught in this three-session series. 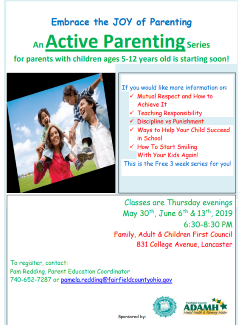 Ages and stages of development, parenting styles, non-violent discipline skills, building a bond through play, routine and discipline are covered in this class! Parents receive a free parent workbook and certificate of completion at the end of the series. Registration is required and childcare is not provided. Sessions are offered on a regular basis. 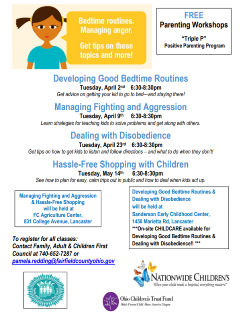 Fairfield County offers the nationally acclaimed, evidence-based Active Parenting classes. Parents of children ages 5-12 years old learn to raise responsible, cooperative children in today’s society through positively developing courage, responsibility and self-esteem. This free, four-session series. Parents receive a free parent workbook and certificate of completion at the end of the series. Registration is required and childcare is not provided. Classes are located at 831 College Ave, Lancaster, Ohio 43130. 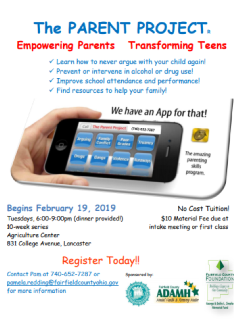 Learn how to never argue with your child again, improve school performance and attendance, prevent or intervene in alcohol or other drug use, and much more! This 10-week series is designed specifically for parents of strong-willed or out-of-control teenagers. Participants meet weekly for 3-hour sessions and enjoy a light dinner provided at the beginning of the class. Registration is required and childcare is not provided. Cost is $10, a one-time material fee. promotes discussion on common parenting challenges among parents with children ages birth to 8. Topics presented include “Dealing with Disobedience”, “Managing Fighting and Aggression”, “Hassle-Free Shopping with Kids”, and “Developing Good Bedtime Routines”. The 8-week Triple P program covers all aspects of positive parenting as well as helping parents learn to create and sustain change in theirs and their children’s behavior over time.